Fine art, Illustration, graphic design and the art philanthropy of Sam Morrison: Brown Bag Lunch Designs!! My etsy store has been a little empty lately. 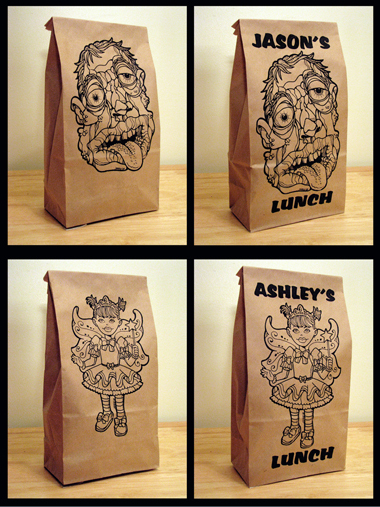 So I created new illustrations for some lunch bags. I'll be offering personalized and non-personalized bags in different quantities and designs. When will the iLunch Bags be on sale? ?